These days, compromise appears to be a dirty word in Washington, D.C. However, the reality is that it is essential to tackling the challenges facing our nation. Is it possible to hold strong political convictions and work across the aisle to forge solutions on Capitol Hill? YES! But what does it take? Courage, tenacity, grit, and creativity, just to name a few. 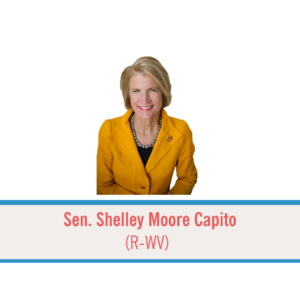 Sen. Shelley Moore Capito has the independence, energy, and courage it takes to advance bipartisan solutions to pressing challenges. Whether it is tackling our nation’s opioid crisis, fighting for rural broadband expansion, modernizing our nation’s energy policy, or improving prospects for student loan borrowers, she has never hesitated to reach across the political aisle to produce real results. 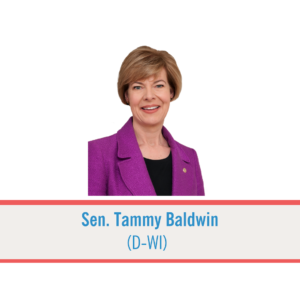 Sen. Tammy Baldwin exemplifies the ideal that lawmakers can collaborate for the greater good while holding to strong political convictions and principles. She has secured real solutions on key issues from attacking our opioid crisis to bolstering family caregivers and improving access to maternity health care. 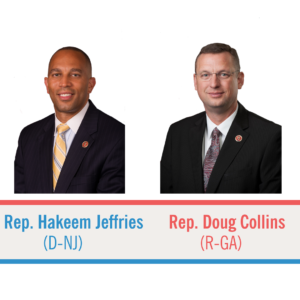 Rep. Hakeem Jeffries and Rep. Doug Collins demonstrated the positive power of Congress through collaboration to modernize our nation’s criminal justice system. Their shared vision in working through differences to arrive at a principled and pragmatic solution is a model of legislative accomplishment. Through their leadership, Congress passed landmark legislation that would have never been possible on a purely partisan basis. 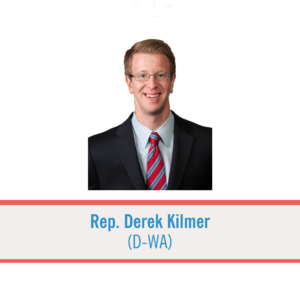 Rep. Kilmer’s leadership demonstrates that lawmakers can be both principled and pragmatic in forging meaningful solutions. From bipartisan efforts to spur job growth to fighting ocean acidification to championing long-overdue congressional reforms, Rep. Kilmer exemplifies the spirit of the Legislative Action Award. 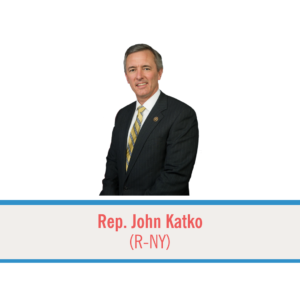 Rep. Katko has demonstrated unique ability to bring people together and create real solutions and embodies independence and effectiveness, whether battling opioid addiction, combating human trafficking, modernizing the Brownfields Program or introducing legislation to repair our nation’s aging infrastructure. These six leaders representing both parties in the Senate and House have exemplified the courage and creativity it takes in a polarized political atmosphere to get real solutions over the finish line. They show that compromise should be the norm, not the exception. It’s time to create an environment on Capitol Hill that allows collaboration to thrive, and through the Select Committee on the Modernization of Congress, we can make this a reality!